Whatever Happened to Small is Beautiful? Posted on March 28, 2017 CategoriesBooks, British, creative writing, empowerment, life, SC Skillman, SC Skillman Author, thoughts, WritingTagsauthor, Big Five, books, consumer society, empowerment, indie writers, publishing, small is beautiful6 Comments on Whatever Happened to Small is Beautiful? In 1993, E.F. Schmacher published a book entitled Small is Beautiful: A Study of Economics as if People Mattered. It was well received, and promised a potential revolution in ideas for capitalism and for the consumer society. Recently I saw a plea from a Christian charity for us to invest in poor (“small” in economic terms) countries and help them develop their economies within their own culture. The benefits of this will radiate out to encompass all of us. The truth behind this is one that philosophers have clearly seen and expressed (in particular John Ruskin) yet it continually seems to bypass the greedy, the corporate, the leviathans of our consumer society. I found myself relating it to the situation of the “indie” author. Our society does not yet fully honour the idea that it is good to invest in small indie writers and help them in their businesses (comparable to “cottage industries”) and to develop within the ethos of their own culture. Instead “indie” writers are often made to feel that the only way they can ever progress in a meaningful way in their literary careers and move forward and make a breakthrough is by gaining the support of someone big, i.e. to link up with and/or become subsumed by one of the “Big Five” publishing houses. It’s all about empowerment. I’d love to know your views on this. If you run a small business or if you are self-employed, either as an author or otherwise, how do you feel? what is your experience of ‘small is beautiful’? One of the joys of this New Year for me has been reading the reviews of A Passionate Spirit that are starting to come in via Net Galley. It has reaffirmed for me that although a review may not carry a 5 star rating, nevertheless an honest review from a reader who seriously engaged with the novel is of great value. Charlie G says this: “I was pulled in, hook, line and sinker, picking up my kindle at every opportunity to find out what happened next and the end was not disappointing. Maxine (Booklover Catlady) says this on Amazon: “The book tackles the dark side of cults and cult-thinking as well as introducing some spiritual elements, not all that are in the light so to speak either. Who are these people and what is the hold they seem to have on the house? Why are weird paranormal events happening all around? Zoe and her husband and loyal friend Alice are tested, and it’s not easy. Thank you both to Charlie G and to Maxine. A Passionate Spirit About to Go to Print! Posted on October 20, 2015 October 20, 2015 Categoriesbook reviews, Books, British, British psychological suspense writer, creative writingTagsa passionate spirit, author, books, creative writing, Net Galley, novel, publication date, SC Skillman author, typeset proofs, writingLeave a comment on A Passionate Spirit About to Go to Print! 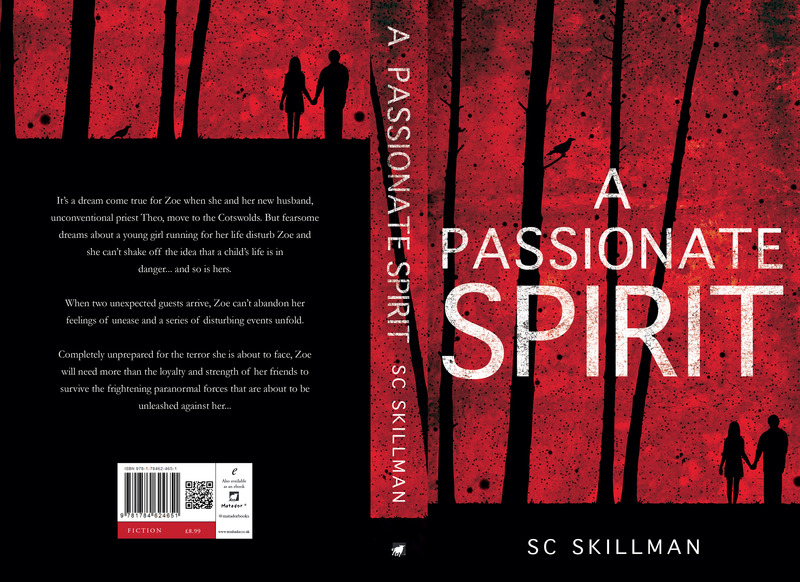 My new novel A Passionate Spirit is about to go to print, after several rounds of revision to the typeset proofs. I’ve recently been contacted by a journalist who sought my permission to quote me in a book he’s writing – and coincidentally I’ve also quoted him in an appendix to my novel! He wanted to quote from a blog post I wrote a couple of years ago, on a subject which is relevant to my story. It was fortunate that he did contact me because not only was I happy for him to quote me, but was also able to check the appendix over with him and then submit a couple of changes to the typeset proofs. Publication dates grows ever nearer now (28 November) and the next stage will be for me to check the list of media contacts who’ll receive my Press Release. Then the manuscript will also be converted into an ebook and once approved, will be uploaded to Net Galley. If you’re a member of Net Galley do seek out A Passionate Spirit there in a few days’ time and download your free copy for review! Recently I’ve been visiting a number of Cotswolds locations in which key scenes of my novel A Passionate Spirit are set, and locations which are referred to in the story. 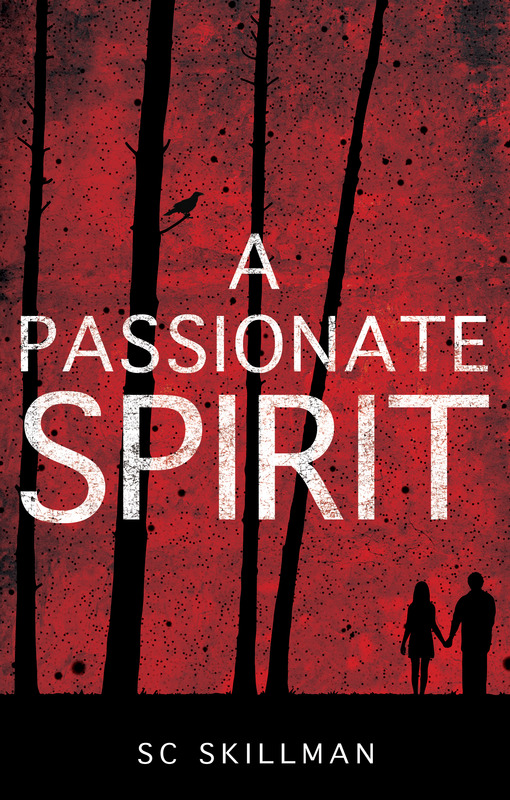 A Passionate Spirit is a paranormal thriller, and some of the events of the story cross the borderline between the real world and the unexplained. 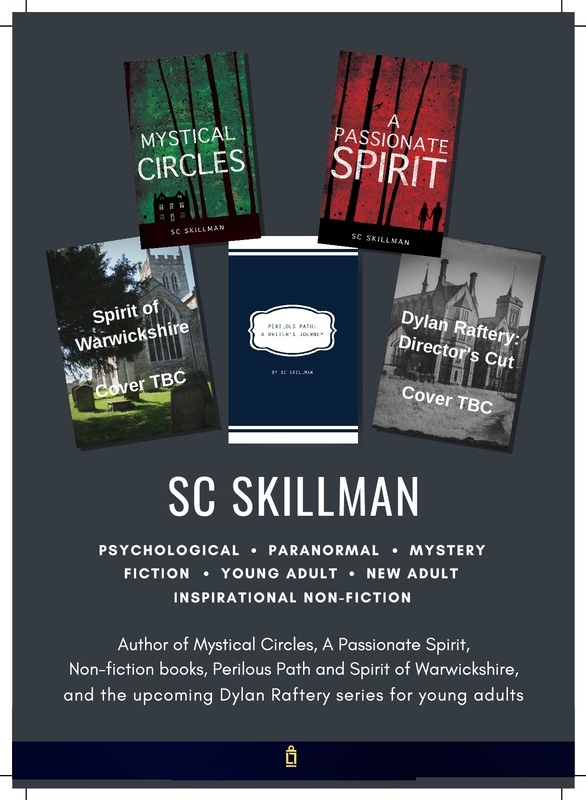 A Passionate Spirit is the follow-on from my first novel Mystical Circles. 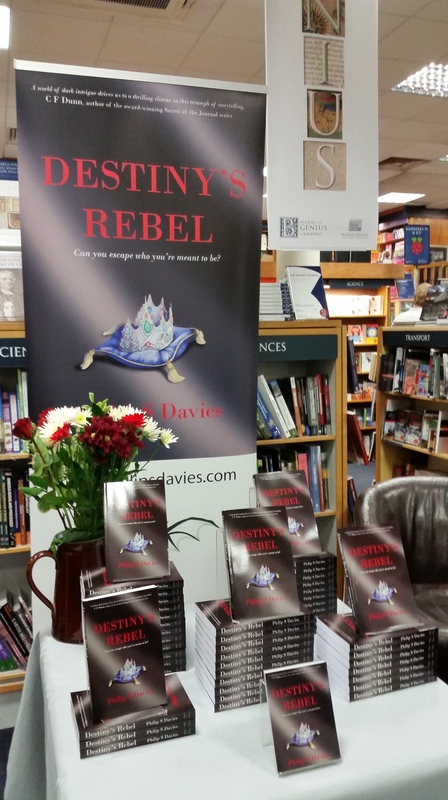 Both novels are set in the same gracious manor house near Cirencester. In Mystical Circles, Juliet sets off for the Cotswolds to try and rescue her younger sister Zoe from Craig, the charismatic leader of a New Age mystical cult. But intrigues, liaisons and relationships flare and flourish or fizzle out quickly within this close circle, and, despite her reservations, Juliet is drawn into the Wheel of Love – with completely unforeseen consequences. In A Passionate Spirit, it’s three years later, and Zoe has started afresh with her new husband in the same beautiful Cotswold manor house, now re-opened as a creative retreat centre. It all seems like a dream come true. But nightmares about a young giirl running for her life disturb Zoe and she finds herself confronted by frightening paranormal forces. 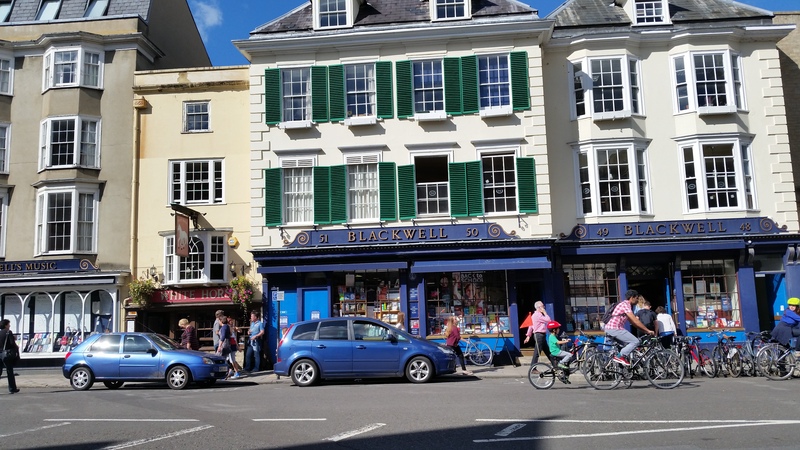 Extra spice and colour has been added into my novel because the events take place in real locations.I hope those residents of Cirencester who read my novels will perhaps have a different view of some of these locations after they’ve finished the story! Philip is a member of a writers group I attend, and we were all delighted when he was at last able to announce he’d signed a contract for the publication of his book, after many trials and tribulations with agents and publishers – the kind of thing all writers can relate to. Philip has read aloud to us extracts from his novel during the past few years and we’d all come to know and love his sassy heroine Kat. 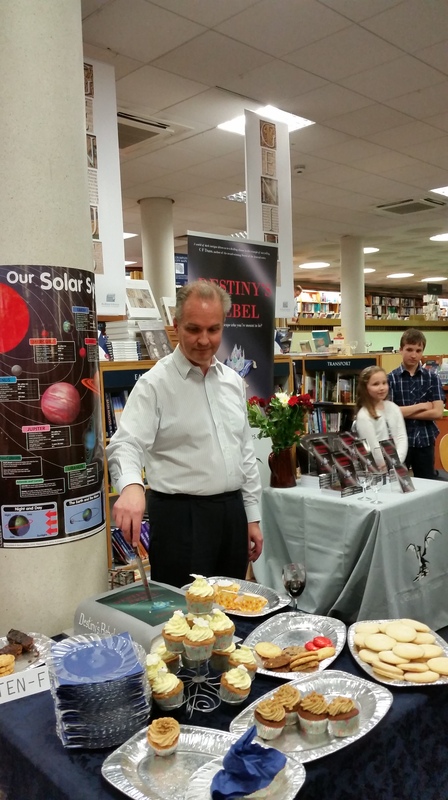 Philip held his book launch in Blackwell’s at 48-51 Broad Street in Oxford – and what a wonderful bookshop it is. The launch was held in the Norrington Room downstairs – one of the largest and most famous bookselling rooms in the world. Its a vast treasure cave of fascinating books on all possible subjects, on three levels. I was overwhelmed by the amazing abundance of books – it was like Hogwarts Library. And as Philip said in his speech, have we all considered what the world would be like if all the writers stopped writing? Well, there would be a good few books to keep us going for a while – judging by the contents of the Norrington Room – but what would happen if all the readers in the world stopped reading? For writers, readers are our lifeblood. 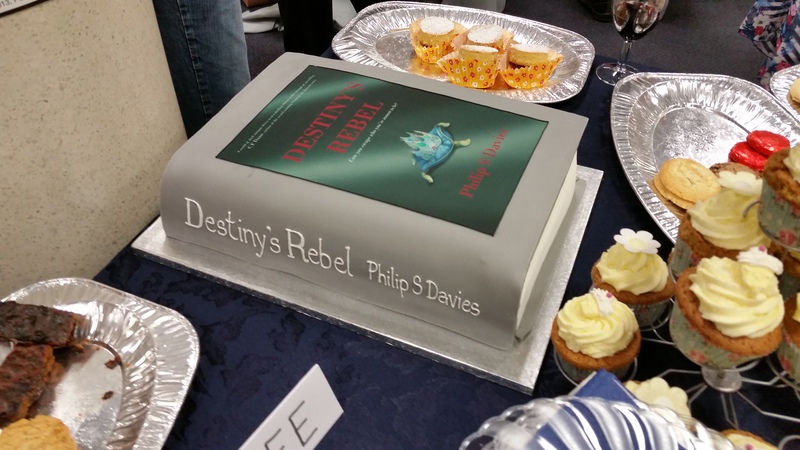 As you can see from the pictures, Philip’s book launch was a lovely occasion, with a much-admired cake which looked exactly like his book – except it was larger, and edible! Do take a look at Philip’s book on his website and on Amazon – I’m looking forward to reading my signed copy very soon!